Baker filed legislation (H 4313) Friday to merge 10,000 retired teachers and elderly retirees, currently treated as a separate pool by the Group Insurance Commission, into the main pool of active state employees and retirees, which accounts for over 97 percent of the more than 440,000 people insured through the GIC. 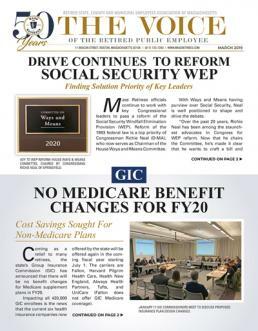 The move is necessary, according to GIC Executive Director Roberta Herman, to prevent about 955 retirees in Pool 2 from having to switch health plans and absorb premium spikes of 30 percent to 80 percent beginning on July 1. Herman told the Committee on Public Service on Tuesday that waiting was not an option with open enrollment set to begin on April 1. Ideally, the GIC would like to have the bill on Gov. Baker's desk by Friday to avoid having to put into place contingency plans as it prepares materials to send out to members before the start of the open enrollment period. "The underlying reason we are here today is that the evolving dynamics of our health insurance marketplace have created a situation in which having a relatively small group of retirees pooled separately from the rest of our members is no longer financially viable," Herman said at a public hearing. "My understanding is we'll try to poll it out today and try to expedite this just because we know how much of a financial impact this could have on retirees, so unless we hear something from folks that would cause us concern we'll try to get this out as soon as possible," said Rep. Jerald Parisella, co-chair of the Committee on Public Service. Senate co-chair Sen. Paul Feeney said quick action in the Senate could also be possible, and both House Speaker Robert DeLeo and Senate President Harriette Chandler have been made aware of the situation. A forecasted snowstorm for Wednesday could complicate those plans, said Parisella, who was uncertain how the weather would impact the legislative session schedule this week, but he said he did not believe a formal session would be necessary to advance the bill. The Massachusetts Municipal Association, the State, County and Municipal Employees Association of Massachusetts and the Massachusetts Teachers Association all testified in support of the legislation on Tuesday. "Time is of the essence here," said Sean Duhamel, legislative director for the Mass Retirees Association. "I know it's a bit of a herculean task. Mother nature is not cooperating, but anything you can do to expedite this would be greatly appreciated." The Legislature in 1962 created a separate risk pool for elderly governmental retirees, which now number just 30. Retired municipal teachers were added to Pool 2 in 1970, and there are now about 10,000 former educators from 46 communities enrolled in GIC plans. However, during the last reprocurement only one insurer – UniCare – bid on the business for Pool 2, limiting choices for members and potentially requiring many employees to switch plans. Herman said that over time as the members in Pool 2 have aged and no new retirees have joined the pool since the 1990s it has become "an unattractive segment to insure." After a Feb. 22 meeting when the rate options were presented to the GIC board, Herman and her staff were tasked with exploring alternatives that could mitigate the steep rate increases for Pool 2 members. In the ensuing weeks with the cooperation of the Baker administration and unions, a bill was drafted. If enacted, the 10,000 retirees would be able to choose from a range of plans available to most state workers and retirees offered by UniCare, Harvard Pilgrim Health Plan, Tufts Health, Fallon Community Health and Health New England. "What we need to know by the end of the week is the direction things are going in," Herman told Parisella. Lisa Adams, of the Massachusetts Municipal Association, said that without action on the governor's bill cities and towns could also be looking at higher premium costs for their retirees covered under Pool 2 UniCare plans. Rep. Paul Schmid, a member of the Public Service Committee, said he didn't know if retired teachers in his hometown of Westport were members of the GIC, but said, "To the extent that this would help the Westports and and other communities, I'm all for this."